Cleanse the mind, body and Soul to increase the senses. Over the next 6 weeks, you are invited to learn about the magic of becoming more receptive to your innermost Self and managing your energy in the world around you. This introductory diet will tune your mind and body to the more subtle energies of the non-physical landscapes and heal the inner Spirit. Have you ever experienced a dream so real, it could be a premonition - or a recall of a 'past life'? Are you empathic to other's emotions - almost permeating your pores with feeling before they ever express themselves? Do you feel called to spend time alone, in nature and in exploration? Do you want to shift from your hypnotic daily habits and be more present and aware of Your Path? Whatever it is that's stirring in your skin right now, it's a sign that your inner dreamer could be waking up. In the practice of Shamanism, walking the Spirit World is both part of the job description and the indoctrination of the inner dreamer as a healer and guide for others. In order to cultivate that connection to the ordinary world and non-physical reality, the Shaman will prepare her(or him)Self with a Spiritual Diet to awaken the senses and reassemble the Soul. Over the next 6 weeks (whether or not you are preparing for Shamanic Plant Medicine work) you are invited to learn about the magic of becoming more receptive to your innermost Self and managing your energy in the world around you. This introductory diet will tune your mind and body to the more subtle energies of the non-physical landscapes and heal the inner Spirit. Week 1 (Wednesday August 23rd) is COMPLIMENTARY for all. what is a spiritual diet? The intention of the Spiritual Diet is to help induce Self-awareness and conscious creation. 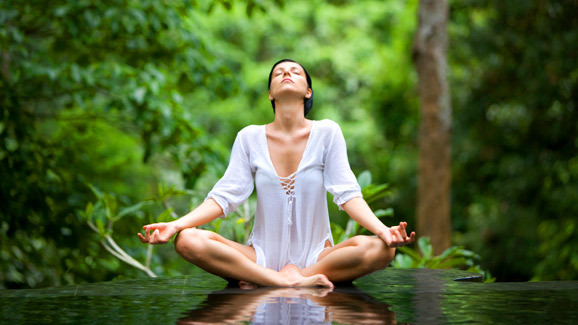 The result is detoxification of the intersection of mind-body-spirit and increased sensitivity, awakening your Spirit. You can think of it like fine-tuning your 'third eye'. MEET 7:30PM at Sea Cliff Beach near the Pavilion (please arrive 15 min early so we can begin on time, the Sun will go down quickly) bring a towel or sweatshirt and bug spray/bracelet if needed and JOURNAL / pen. In the case of wet weather, we will meet this week at Sea Cliff Starbucks (202 Glen Cove Ave A, Glen Cove, NY 11542). Each week there's a finer adjustment of the 'diet' - ultimately leading to preparation of the food body toward purity as a symbol of respect, receptivity and offering in working with Shamanic rituals* and deepening your personal practice of meditation, reflection and Self-Creation. *Some rituals require this preparation as a safety precaution. Please email me with any questions lauren@liftyourheart.org. I invite you to bring a friend or family member, an open heart and a willingness to become One with yourself. May the Spiritual Diet free you from human suffering, may it show you the light inside of you, and may you rejoice at the sight of your Self.